Johann Lurf is an artist-filmmaker, using the moving image to analyse and restructure space and film. 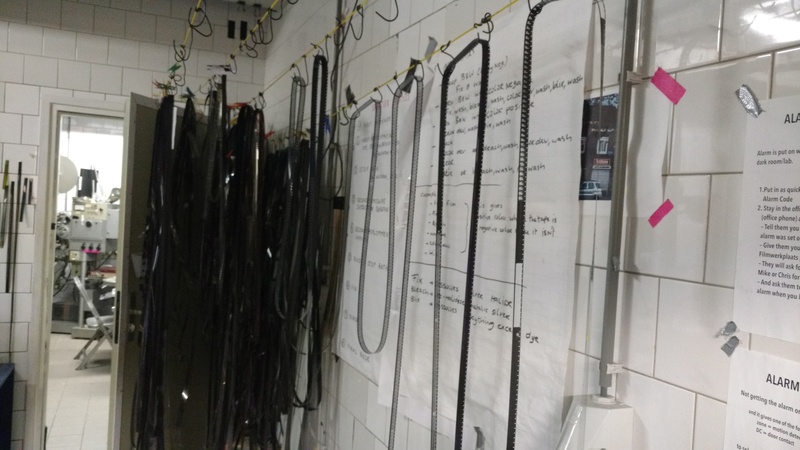 His practice involves observational and documentary filmmaking especially in the field of structural film, as well as an approach to found footage which is strongly oriented towards filmic language itself. Johann is WORM’s REMI resident artist at the Filmwerkplaats. 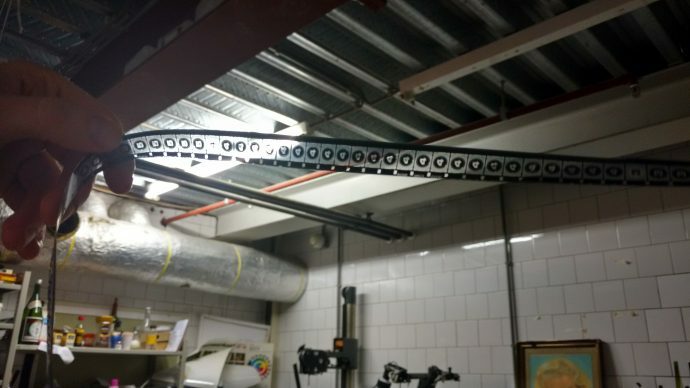 REMI is a two-year European cooperation project focused on the creation, preservation and circulation of technical knowledge of analogue film in order to support its use as a creative medium. We interviewed Johann to find out more about his work at WORM. I have spent most of the time doing tests and little things that I’ve been wanting to do for a long time but haven’t had chance to do until now. Now it’s possible for me to experiment and fail properly. So I was shooting in 3D on 60MM. I’ve also been self-developing using black-and-white and ancient splicing techniques to edit film. Through this I’ve been learning about technologies only possible in special places like the Filmwerkplaats. The moving images that I’m working on are contemplating the way time is being used as a means to transform the perception of the audience. “Structural” refers to the way editing is being used to do this. So you try to find the structure that adopts to the project or the duration of your piece and you try to work with it and find out if it’s doing what you like or not. What sort of found footage are you using? Here, I’m using subtitles. In other works I’m using footage ranging from Hollywood films to NASA footage, or 35MM leftovers from projection booths; all kinds of sources. I made one film about the Hollywood logos; like 20th Century Fox and the Universal Globe which introduce the film. I have a kind of love-hate relationship with this kind of material because it’s hyper-commercial footage which is made to look like a gem, or diamond, or candy that you can put in your mouth. It’s really treacherous material, but of course it’s also so appealing because it connects to memories that we all have from watching films.